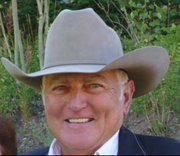 Tractor Dean is a well-known figure at major horse shows around California and at the trade shows, as he is frequently hired to manage and care for the footing at the shows. 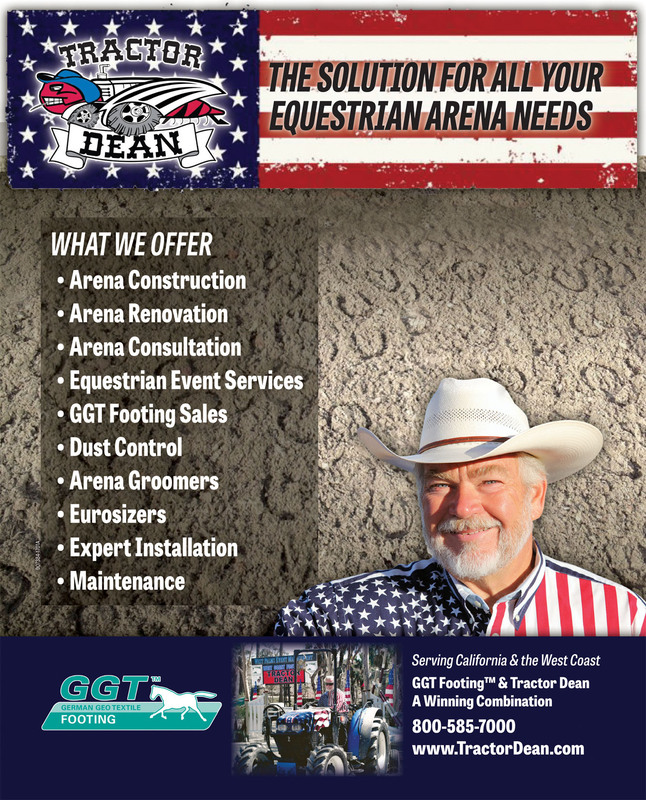 Arena consultants, like Tractor Dean of West Coast Footings,can help with building your arena and will be well worth the initial investment when compared to vet bills, water costs, and the frustration associated with less than ideal arena conditions. Dean has been working with and studying footing for eight years, after a long career in aircraft manufacturing. That background instilled in him the critical nature of what happens at the point of impact, whether on a tarmac or in a riding arena, along with the conviction that customer service and attention to detail are as important as equipment and material. "We are not just selling you the footing material," says longtime principal and renowned dirt expert John Dienhart. "We deliver the whole pie. We can diagnose the footing challenges and talk about solutions," he continues. "We have the products and knowledge to change the characteristics of what the footing is doing: to modify it to provide the right combination of stability and cushion for any discipline." Show managers are frequent clients, with projects that range from installing completely new riding surfaces in one or more arenas, to providing equipment for the manager or venue's crew to maintain the ring on their own. John Dienhart was born in Indiana where he learned about grass and dirt on the family golf course. He moved to California when he was 19, then served 3 years in the Army where he made Buck Sergeant E5 in 18 months. He then owned a shop/gas station for a number of years. In 1980 - he started a tractor business where he offered mowing and rototilling services in the Bay Area. Many of his customers that owned horses had personal arenas and asked him to do something to improve their footing. That is how he got started, again, in dirt work.